The contest, held during the month of November, supports the Brant Food For Thought member agency campaign for the Brant United Way. Thirteen (13) schools across the Brant Haldimand-Norfolk Catholic District School Board and the Grand Erie District School Board participated this year. 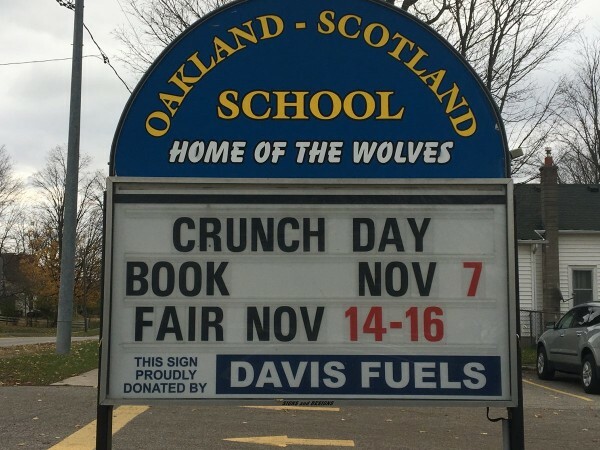 Each school came up with a unique way to promote their “Crunch Day” event. 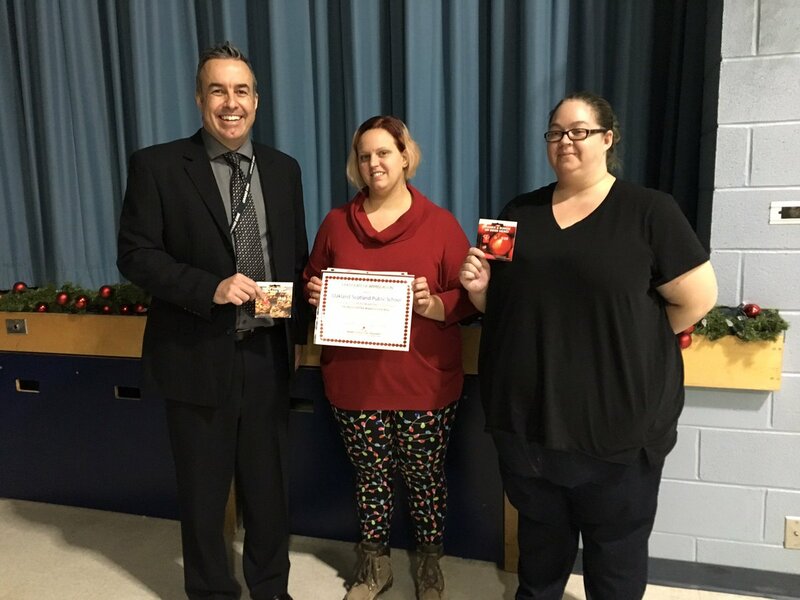 First place winners, Ecole Dufferin, assembled in the gymnasium for our official media event, and a recorded a special bilingual apple song to be submitted to a contest hosted by CBC Radio. 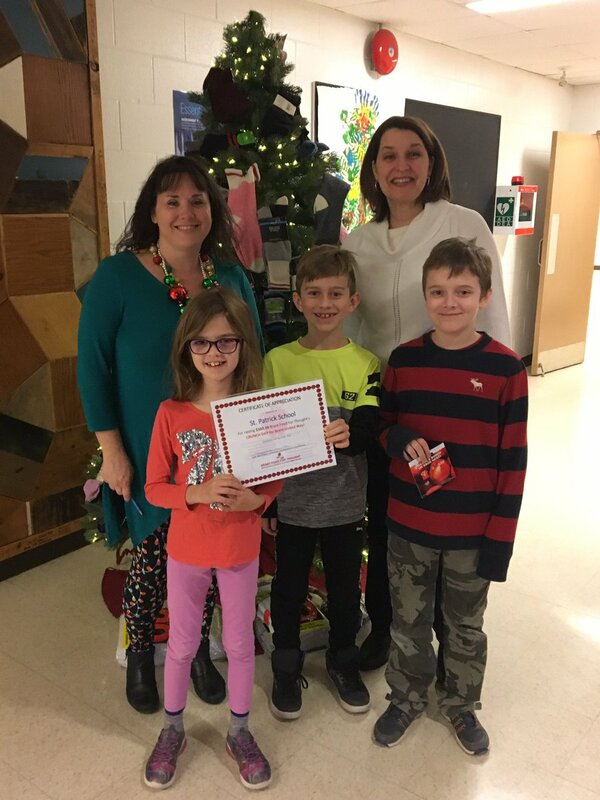 The students rendition of the song complete with costumes and actions was fabulous! 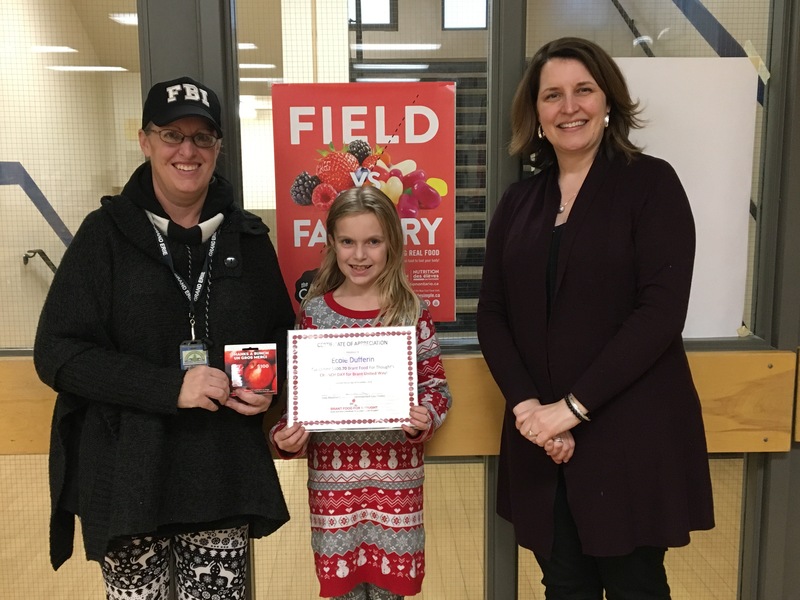 Borrowing the idea from “The Great Big Crunch” and Food Secure Canada, Brant Food For Thought provided bushels of local, fresh apples to each participating school. 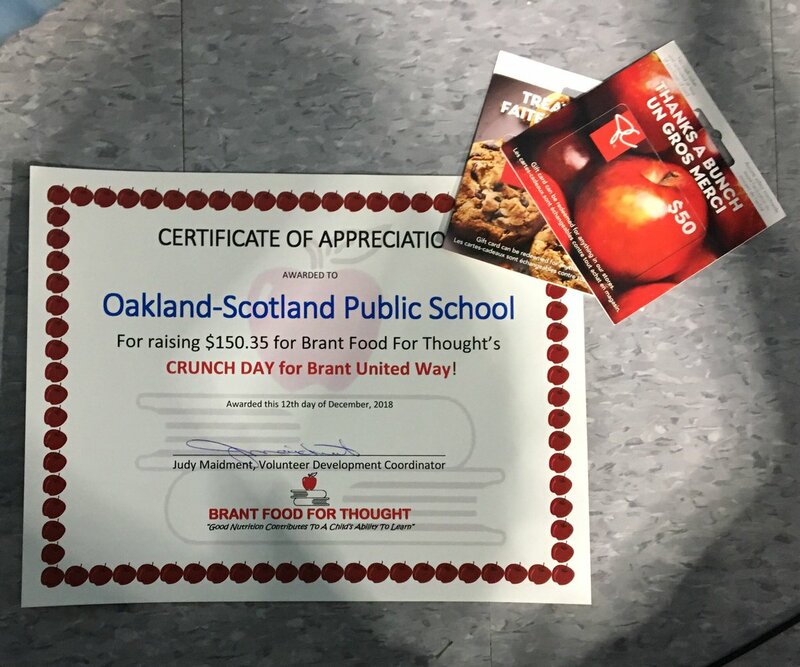 For a small donation, a student could purchase an apple, with all the proceeds going to the Brant United Way, through the Brant Food For Thought Member Agency Campaign for 2018. 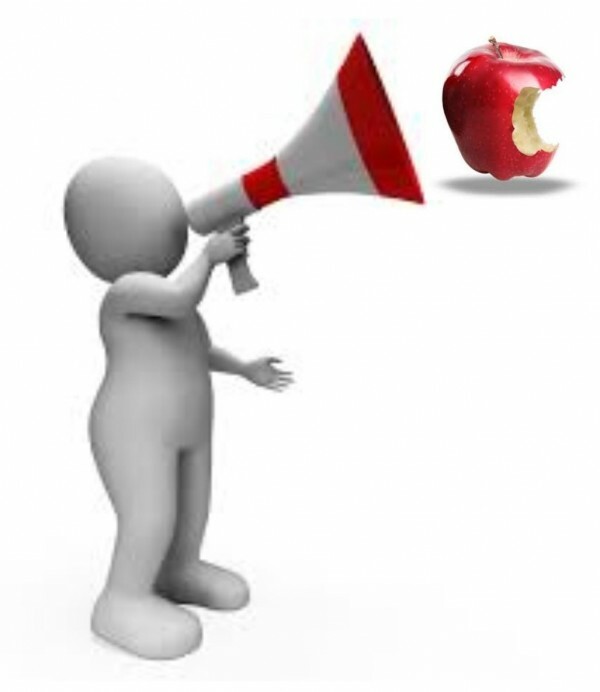 Some schools had the students gather in the gymnasium for a countdown to a simultaneous “Apple Crunching Ceremony”, complete with upbeat music and our own Apple Mascot. 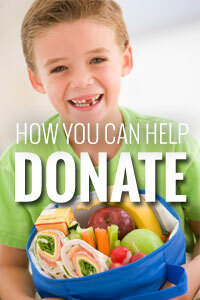 Other schools had students come to the front foyer by classrooms and pick up their apple for a donation. 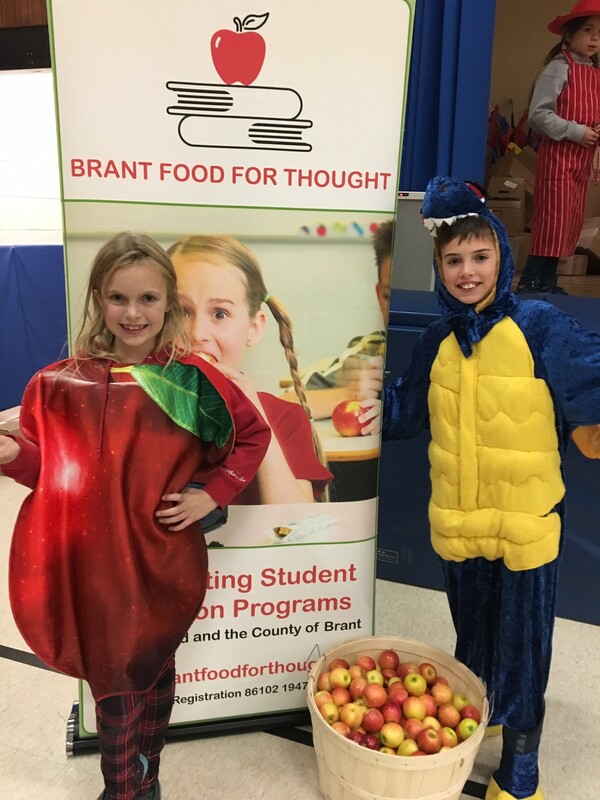 The Brant Food For Thought annual campaign raised a grand total of $1,518.86 for the Brant United Way. 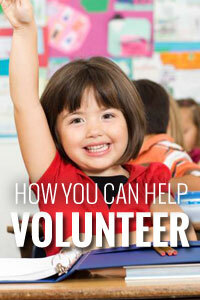 Thank you to everyone who participated and supported us with a fun event!